Tiny Farmers Electric Cooperative’s big solar farm in Kalona, Iowa. Photo by FEC. Today, more than 90 percent of the nation’s 900-plus rural electric co-ops provide electricity generated using renewable energy sources. Much of the nation’s renewable resources can be found in rural America. These include: wind, solar, geothermal, biomass and hydropower. Nationwide, co-ops own and purchase nearly 6.4 GW of renewable capacity — in addition to roughly 10 GW of preference power contracts with federal hydroelectric facilities. Co-ops own nearly 1.2 GW of renewable energy generation and have long-term power purchase agreements (PPAs) for nearly 5.2 GW. Including federal hydropower, co-ops own or purchase over 10 percent of U.S. renewable capacity. Currently, 95 percent of NRECA’s distribution members (795 out of 838) offer renewable energy options to 40 million Americans. The IRS has approved $900 million in CREB allocations for cooperative renewable energy development. NRECA’s Interactive Map, “Cooperatives and Renewable Resources,” shows there are six electric cooperatives in our state with solar as a part of their customer-owned power programs. 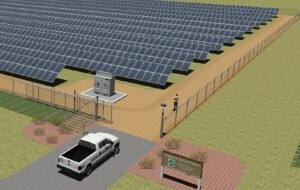 The overall goal of the project is to reach a target of $1.60/Wp installed cost. Executive Summary: There are over 900 electric cooperatives (co-ops), which serve more than 42 million Americans in 47 states while operating 2.4 million line-miles covering more than 70% of the nation’s land. Many co-ops are interested in solar PV, but only a few have deployed utility-scale (1 MW or more) systems because of insufficient: standardized designs; cost-benefit analysis tools; assistance with finance, procurement, and permitting; and training and best practices for operations and maintenance. The objective of the SUNDA project is to create a set of tools that will enhance the ability of co-ops to design, finance, deploy and operate utility-scale solar PV systems at their facilities. To achieve this objective, NRECA is working with a select set of co-ops to develop, test and refine a standard “PV system package”, which will include standardized engineering designs and support products (purchasing, insurance, and training). This package will ultimately be available for use by all co-ops. This entry was posted in Nebraska / Midwest News, NewsBlog and tagged community solar, electric cooperatives & utility-scale solar, electric power cooperatives in Nebraska with solar, National Rural Electric Cooperative Association (NRECA), Nebraskans for Solar, NRECA's low-coast "PV system package", NRECA’s “PV system package, solar and community economic development, solar farms, Solar Utility Network Deployment Acceleration (SUNDA) on August 28, 2015 by Helen Deffenbacher.